Gasthof Post is located in Böckstein, a district of the spa town of Bad Gastein and offers a sauna and an infrared cabin. From the nearby bus stop you can reach Gastein’s world-famous radon galleries in only 2 minutes. Facilities in the rooms and apartments include a balcony. The hotel offers an own restaurant with 3-course menus or a la carte choice with international cuisine. In summer Gasthof Post is an ideal starting point for hikes into the nearby Hohe Tauern National Park. In winter the nearby ski bus stop lets you reach the Stubnerkogel-Angertal-Schlossalm and Sportgastein ski areas in a few minutes. 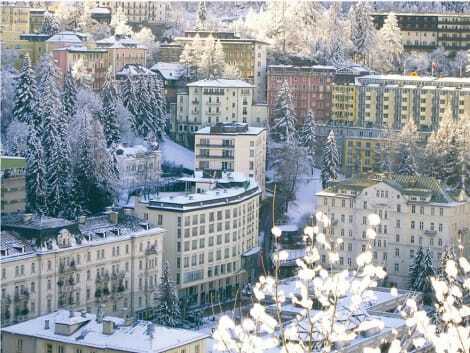 The Felsentherme spa and the centre of Bad Gastein with the waterfall and the casino are also just a few minutes away. The buses run every 30 minutes. 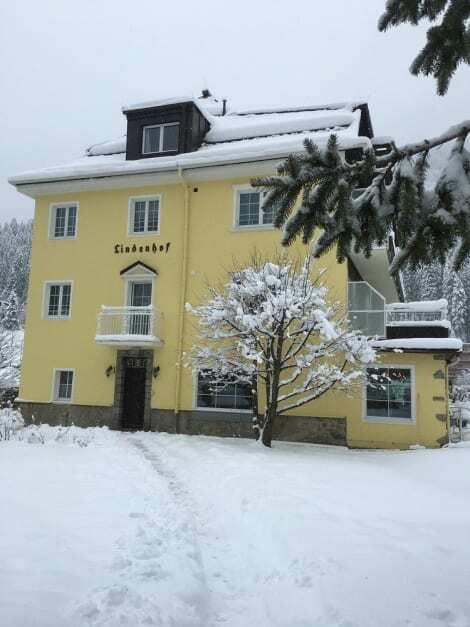 The incomparable beauty of its location, the wonderful views over the Gastein valley, the breathtaking mountains together with the great hospitality, excellent cuisine and cheerful staff characterize the hotel. You can walk to the center of Bad Gastein in 10 minutes. Sunshine and light characterize the comfortable rooms, over three storeys reached with the "historic panorama lift". Away from the slopes, too, the valley offers much more. Whether sportily active, romantic or exciting, here everyone finds just the right thing to turn their winter getaway into an unforgettable experience for big and small. Spend a few days of your busy time in a fantastic and different location, where you can recharge your batteries to continue your life, enjoy the beautiful surroundings, the mountains and thermal spas. Make yourself at home in one of the 208 guestrooms, featuring kitchenettes. Your bed comes with down comforters and premium bedding. Complimentary wireless Internet access keeps you connected, and satellite programming is available for your entertainment. Conveniences include phones, as well as safes and separate sitting areas. At Euro Youth Hotel & Krone, enjoy a satisfying meal at the restaurant. Quench your thirst with your favorite drink at the bar/lounge. A complimentary breakfast is included. Stay in one of 23 guestrooms featuring plasma televisions. Complimentary wireless Internet access keeps you connected, and cable programming is available for your entertainment. Private bathrooms have complimentary toiletries and hair dryers. Conveniences include phones and desks. Grubers Residenz is located in Böckstein, only a 5-minute drive away from Bad Gastein ski area and 11-minute drive from Sportgastein. WiFi access in the entire property and parking are available free of charge. The spa area was completely renovated in 2011 and now features a sauna, infrared cabin and relaxation area with sandy beach feeling. Massages can be arranged upon request and a surcharge. Residenz Grubers offers a well-appointed fitness room, and a 24-hours self-service café. In the morning a rich breakfast buffet is served, and a take-away pizza service is provided on site. For children a playground and a games room with table football and billiards are available. Guests can relax in the garden fitted with a terrace, sun beds and lounge areas. The bus stop providing connections to Bad Gastein‘ healing radon galleries and the free ski bus is only 180 metres away from Grubers Residenz. The spa centres of Felsentherme, 3 km away and Alpentherme, 12 km away are also reachable by bus. Stop by the hotel's restaurant, Panoramarestaurant, for dinner, or grab snacks at the coffee shop/café. Wrap up your day with a drink at the bar/lounge. Buffet breakfasts are available daily from 7:30 AM to 10:30 AM for a fee. At Hotel Rader, enjoy a satisfying meal at the restaurant. Wrap up your day with a drink at the bar/lounge. A complimentary buffet breakfast is served daily from 8 AM to 10 AM. 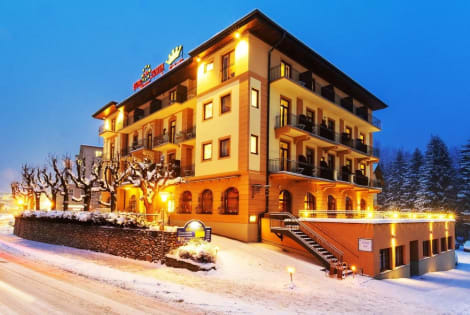 This comfortable hotel is set in Bad Gastein. A total of 40 units are available for guests' convenience at Hotel Alpenhaus Evianquelle. Visitors will not be bothered during their stay, as this is not a pet-friendly accommodation. Stay in one of 50 guestrooms featuring flat-screen televisions. Complimentary wired and wireless Internet access keeps you connected, and cable programming provides entertainment. Private bathrooms with bathtubs or showers feature spring water baths and complimentary toiletries. 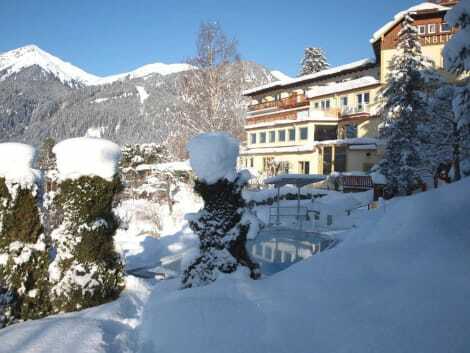 lastminute.com has a fantastic range of hotels in Bad Gastein, with everything from cheap hotels to luxurious five star accommodation available. We like to live up to our last minute name so remember you can book any one of our excellent Bad Gastein hotels up until midnight and stay the same night.